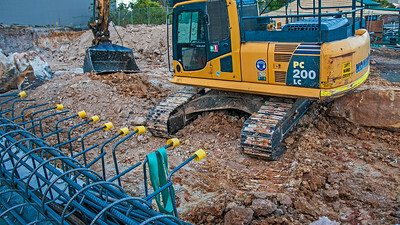 BUILDING CONSTRUCTION OF HOME UNITS 47Beane ST.
CONSTRUCTION PROGRESS OF NEW HOME UNITS AT 47 BEANE STREET GOSFORD BY FAIRMONT DEVELOPMENTS AUSTRALIA. Construction Progress Units Beane St. #1. of - An ongoing photographic building record. Gosford, Australia - August 31. 2017: #1. 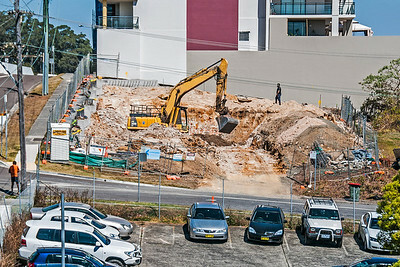 Excavation progress on a block of new home units under construction at 47 Beane St. Gosford, New South Wales, Australia. PLEASE NOTE. This image is delivered Free, electronically, worldwide as a Digital Download WITHOUT the Bold Watermark and is ready for you, or your local printer, to print and it also may be used as a colourful company desktop screensaver. All photos can also be supplied as a Hard Copy Print, and with options to buy as a "Mounted and Framed Art Piece" ready to hang, ( However, it is usually Less expensive and much Quicker to have a Local printer in your own country or locality print for you off our - Instant Free Electronically Delivered "Digital Download File" ). For more information please CONTACT ME. The VERY SIMPLE BUYING PROCEDURE is Detailed below:- To PURCHASE a single image Download for personal use:- (1) Simply click on the Green "BUY" button ( NO NEED to have an existing account set up). (2) Then in the new drop box click "THIS PHOTO". Then from the New drop box, that shows both "Paper Prints" & "Downloads", click on "DOWNLOADS". (3) Then from the New Options click "PERSONAL PHOTO LICENSE" (4) Then from the "Single Photo Download" box click on the Green "ADD to CART" button. (No need to be concerned here you are not committed to buying at this stage). (5) Then click on the Green "VIEW CART" button. ( The "View Cart Page" will list your order details for you to review AND will Link you to a detailed description of the appropriate photo license - to see the license details click on the green highlighted words "Photo License Details" ). This page also gives you the options of CANCEL- EMPTY CART and go BACK. (6) Then Finally, when you have finished reviewing your order details and are happy to proceed with your purchase, click on the green "BEGIN CHECKOUT" button and follow the prompts, that's it your FINISHED. DELIVERY:- After Checkout is completed you will be shown a Receipt with a highlighted LINK to Click on to effect delivery. NB. The SAME Receipt will Also be Emailed to you and you can also Click on the LINK in this email to activate your delivery. DOWNLOADS HELP. For EASY to follow image Download Instructions, please Click: http://www.sunnypicsoz.com/HELP-With-DOWNLOADS SUPPORT If you have ANY queries, for personal support, please CONTACT me through the CONTACT Box in the menu on the Home page. Affordable Quality Images - With instant worldwide free electronic delivery. (C) 1998-2018. Geoff Childs. All rights reserved. Gosford, Australia - August 31. 2017: #3. 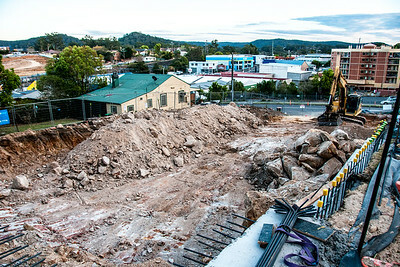 Excavation progress on a block of new home units under construction at 47 Beane St. Gosford, New South Wales, Australia. DOWNLOADS HELP. For EASY to follow image Download Instructions, please Click: http://www.sunnypicsoz.com/HELP-With-DOWNLOADS SUPPORT If you have ANY queries, for personal support, please CONTACT me through the CONTACT Box in the menu on the Home page. Construction Progress Units Beane St. #4 of - An ongoing photographic progress record. Gosford, Australia - August 31. 2017: #4. 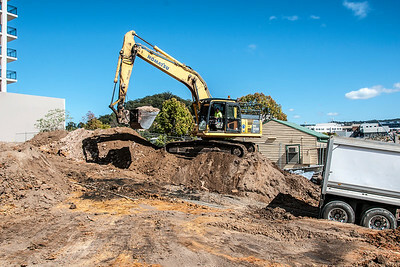 Excavation progress on a block of new home units under construction at 47 Beane St. Gosford, New South Wales, Australia. Construction Progress Units Beane St. #5 of - An ongoing photographic progress record. Gosford, Australia - August 31. 2017: #5. 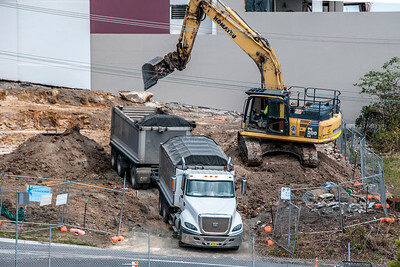 Excavation progress on a block of new home units under construction at 47 Beane St. Gosford, New South Wales, Australia. Construction Progress Units Beane St. #6 of - An ongoing photographic progress record. Gosford, Australia - August 31. 2017: #6. 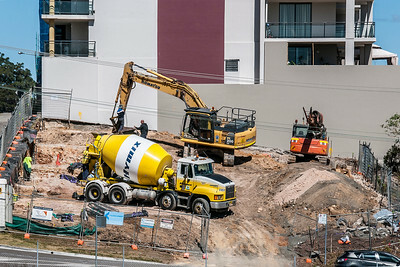 Excavation progress on a block of new home units under construction at 47 Beane St. New South Wales, Australia. DOWNLOADS HELP. For EASY to follow image Download Instructions, please Click: http://www.sunnypicsoz.com/HELP-With-DOWNLOADS SUPPORT If you have ANY queries, for personal support, please CONTACT me through the CONTACT Box in the menu on the Home page. Construction Progress Units Beane St. #7 of - An ongoing photographic building record. Gosford, Australia - August 31. 2017: #7. 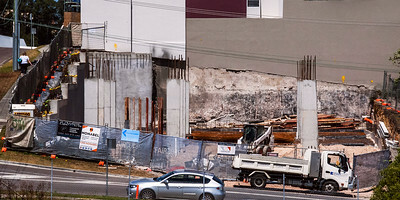 Excavation progress on a block of new home units under construction at 47 Beane St. New South Wales, Australia. Construction Progress Units Beane St. #9 of - An ongoing photographic building record. Gosford, Australia - September 4. 2017: #9. 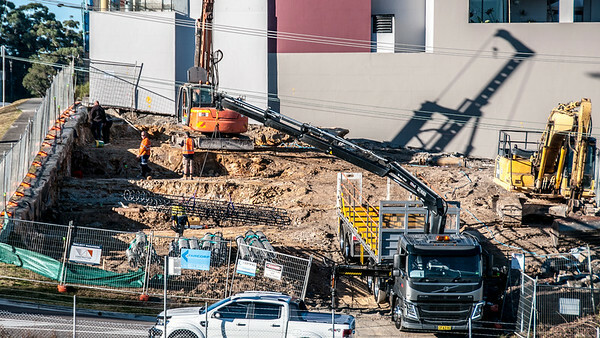 Excavation progress on a block of new home units under construction at 47 Beane St. New South Wales, Australia. DOWNLOADS HELP. For EASY to follow image Download Instructions, please Click: http://www.sunnypicsoz.com/HELP-With-DOWNLOADS SUPPORT If you have ANY queries, for personal support, please CONTACT me through the CONTACT Box in the menu on the Home page. Construction Progress Units Beane St. #10 of - An ongoing photographic building record. Gosford, Australia - September 5. 2017: #10. 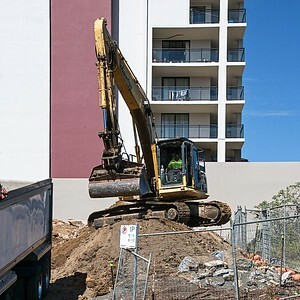 Excavation progress on a block of new home units under construction at 47 Beane St. New South Wales, Australia. DOWNLOADS HELP. For EASY to follow image Download Instructions, please Click: http://www.sunnypicsoz.com/HELP-With-DOWNLOADS SUPPORT If you have ANY queries, for personal support, please CONTACT me through the CONTACT Box in the menu on the Home page. PLEASE NOTE. This image is delivered Free, electronically, worldwide as a Digital Download WITHOUT the Bold Watermark and is ready for you, or your local printer, to print and it also may be used as a colourful company desktop screensaver. This image can also be supplied as a Hard Copy Print, and with options to buy as a "Mounted and Framed Art Piece" ready to hang. . ( However it is usually Less expensive and much Quicker to have a Local printer in your own country or locality print for you off our instant electronically delivered "Digital Download" ). Construction Progress Units Beane St. #11 of - An ongoing photographic building record. Gosford, Australia - September 9. 2017: #11. 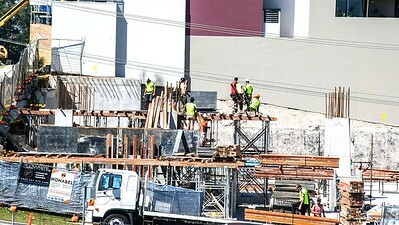 Building progress on a block of new home units under construction at 47 Beane St. New South Wales, Australia. Construction Progress Units Beane St. #12 of - An ongoing photographic building record. Gosford, Australia - September 11. 2017: #12. 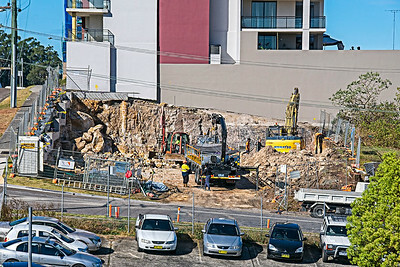 Excavation progress on a block of new home units under construction at 47 Beane St. New South Wales, Australia. DOWNLOADS HELP. For EASY to follow image Download Instructions, please Click: http://www.sunnypicsoz.com/HELP-With-DOWNLOADS SUPPORT If you have ANY queries, for personal support, please CONTACT me through the CONTACT Box in the menu on the Home page. PLEASE NOTE. This image is delivered Free, electronically, worldwide as a Digital Download WITHOUT the Bold Watermark and is ready for you, or your local printer, to print and it also may be used as a colourful company desktop screensaver. This image can also be supplied as a Hard Copy Print, and with options to buy as a "Mounted and Framed Art Piece" ready to hang. . ( However it is usually Less expensive and much Quicker to have a Local printer in your own country or locality print for you off our instant electronically delivered "Digital Download" ). Construction Progress Units Beane St. #14 of - An ongoing photographic building record. Gosford, Australia - September 4. 2017: #14. 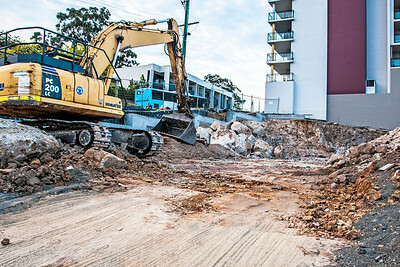 Excavation progress on a block of new home units under construction at 47 Beane St. New South Wales, Australia. Construction Progress Units Beane St. #15 of - An ongoing photographic building record. Gosford, Australia - September 4. 2017: #15. 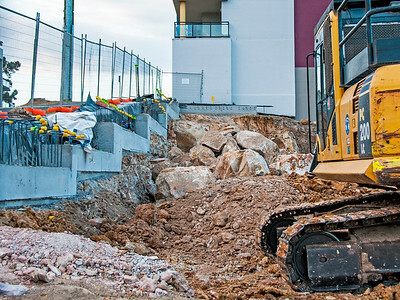 Excavation progress on a block of new home units under construction in Beane St. New South Wales, Australia. PLEASE NOTE. This image is delivered Free, electronically, worldwide as a Digital Download WITHOUT the Bold Watermark and is ready for you, or your local printer, to print and it also may be used as a colourful company desktop screensaver. This image can also be supplied as a Hard Copy Print, and with options to buy as a "Mounted and Framed Art Piece" ready to hang. . ( However it is usually Less expensive and much Quicker to have a Local printer in your own country or locality print for you off our instant electronically delivered "Digital Download" ). The VERY SIMPLE BUYING PROCEDURE is Detailed below:- To PURCHASE a single image Download for personal use:- (1) Simply click on the Green "BUY" button ( NO NEED to have an existing account set up). (2) Then in the new drop box click "THIS PHOTO". Then from the New drop box, that shows both "Paper Prints" & "Downloads", click on "DOWNLOADS". (3) Then from the New Options click "PERSONAL PHOTO LICENSE" (4) Then from the "Single Photo Download" box click on the Green "ADD to CART" button. (No need to be concerned here you are not committed to buying at this stage). (5) Then click on the Green "VIEW CART" button. ( The "View Cart Page" will list your order details for you to review AND will Link you to a detailed description of the appropriate photo license - to see the license details click on the green highlighted words "Photo License Details" ). This page also gives you the options of CANCEL- EMPTY CART and go BACK. (6) Then Finally, when you have finished reviewing your order details and are happy to proceed with your purchase, click on the green "BEGIN CHECKOUT" button and follow the prompts, that's it your FINISHED. DELIVERY:- After Checkout is completed you will be shown a Receipt with a highlighted LINK to Click on to effect delivery. NB. The SAME Receipt will Also be Emailed to you and you can also Click on the LINK in this email to activate your delivery. DOWNLOADS HELP. For EASY to follow image Download Instructions, please Click: http://www.sunnypicsoz.com/HELP-With-DOWNLOADS SUPPORT If you have ANY queries, for personal support, please CONTACT me through the CONTACT Box in the menu on the Home page. Affordable Quality Images - With instant worldwide free electronic delivery. (C) 1998-2018. Geoff Childs. All rights reserved. Construction Progress Units Beane St. #16 of - An ongoing photographic building record. Gosford, Australia - September 4. 2017: #16. 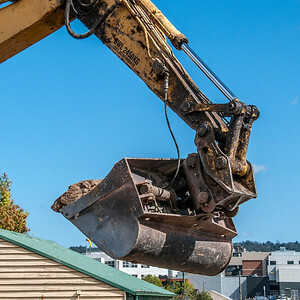 Excavation progress on a block of new home units under construction in Beane St. New South Wales, Australia. Construction Progress Units Beane St. #18 of - An ongoing photographic building record. Gosford, Australia - September 13. 2017: #18. 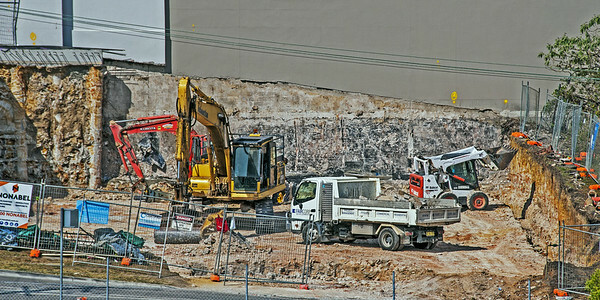 Excavation progress on a block of new home units under construction at 47 Beane St. New South Wales, Australia. DOWNLOADS HELP. For EASY to follow image Download Instructions, please Click: http://www.sunnypicsoz.com/HELP-With-DOWNLOADS SUPPORT If you have ANY queries, for personal support, please CONTACT me through the CONTACT Box in the menu on the Home page. PLEASE NOTE. This image is delivered Free, electronically, worldwide as a Digital Download WITHOUT the Bold Watermark and is ready for you, or your local printer, to print and it also may be used as a colourful company desktop screensaver. This image can also be supplied as a Hard Copy Print, and with options to buy as a "Mounted and Framed Art Piece" ready to hang. . ( However it is usually Less expensive and much Quicker to have a Local printer in your own country or locality print for you off our instant electronically delivered "Digital Download" ). Construction Progress Units Beane St. #17 of - An ongoing photographic building record. Gosford, Australia - September 4. 2017: #17. 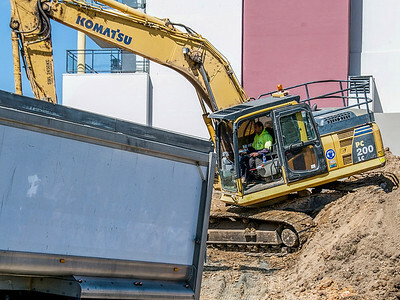 Excavation progress on a block of new home units under construction in Beane St. New South Wales, Australia. DOWNLOADS HELP. For EASY to follow image Download Instructions, please Click: http://www.sunnypicsoz.com/HELP-With-DOWNLOADS SUPPORT If you have ANY queries, for personal support, please CONTACT me through the CONTACT Box in the menu on the Home page. PLEASE NOTE. This image is delivered Free, electronically, worldwide as a Digital Download WITHOUT the Bold Watermark and is ready for you, or your local printer, to print and it also may be used as a colourful company desktop screensaver. This image can also be supplied as a Hard Copy Print, and with options to buy as a "Mounted and Framed Art Piece" ready to hang. . ( However it is usually Less expensive and much Quicker to have a Local printer in your own country or locality print for you off our instant electronically delivered "Digital Download" ). Construction Progress Units Beane St. #19 of - An ongoing photographic building record. Gosford, Australia - September 15. 2017: #19. 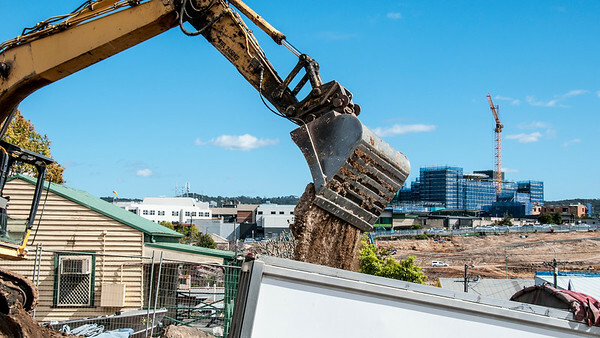 Excavation progress on a block of new home units under construction at 47 Beane St. New South Wales, Australia. Construction Progress Units Beane St. #20 of - An ongoing photographic building record. Gosford, Australia - September 16. 2017: #20. 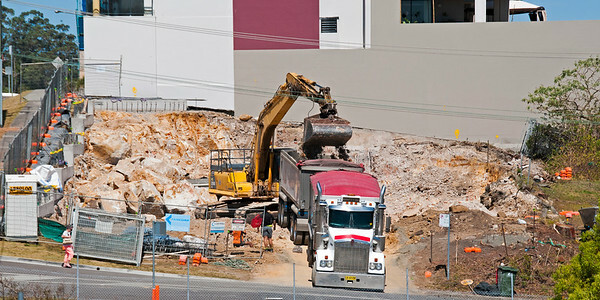 Excavation progress on a block of new home units under construction at 47 Beane St. New South Wales, Australia. Construction Progress Units Beane St. #21 of - An ongoing photographic building record. Gosford, Australia - October 12. 2017: #21. Building progress on a block of new home units under construction at 47 Beane St. New South Wales, Australia. Construction Progress Units Beane St. #22 of - An ongoing photographic building record. Gosford, Australia - October 24. 2017: #22. 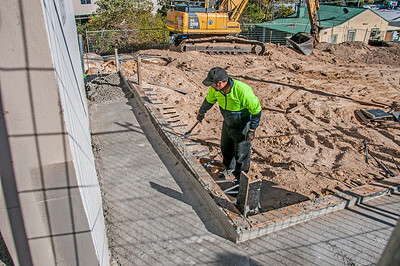 Building progress on a block of new home units under construction at 47 Beane St. New South Wales, Australia. DOWNLOADS HELP. For EASY to follow image Download Instructions, please Click: http://www.sunnypicsoz.com/HELP-With-DOWNLOADS SUPPORT If you have ANY queries, for personal support, please CONTACT me through the CONTACT Box in the menu on the Home page. Construction Progress Units Beane St. #23 of - An ongoing photographic building record. Gosford, Australia - October 29. 2017: #23. 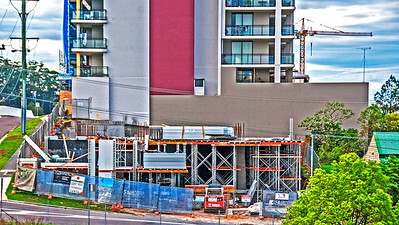 Building progress on a block of new home units under construction at 47 Beane St. New South Wales, Australia.